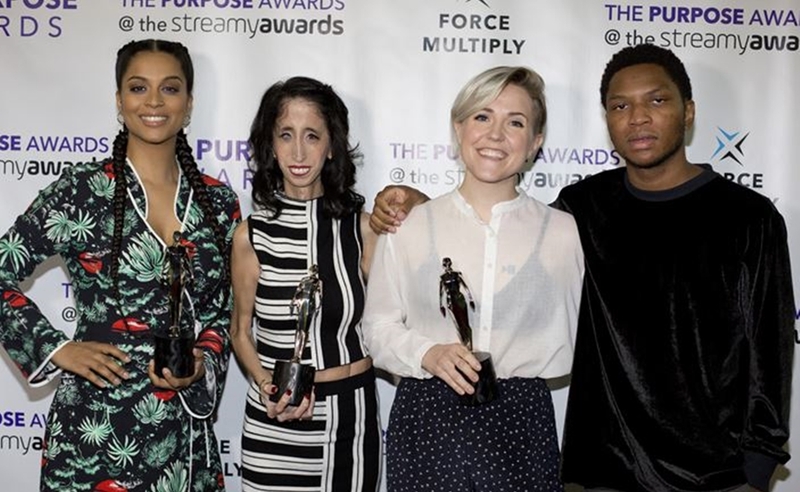 The first annual Purpose Awards were held on Monday afternoon in downtown Los Angeles, during which influencers, brands, and nonprofits were recognized for their altruistic works in a total of six different categories. 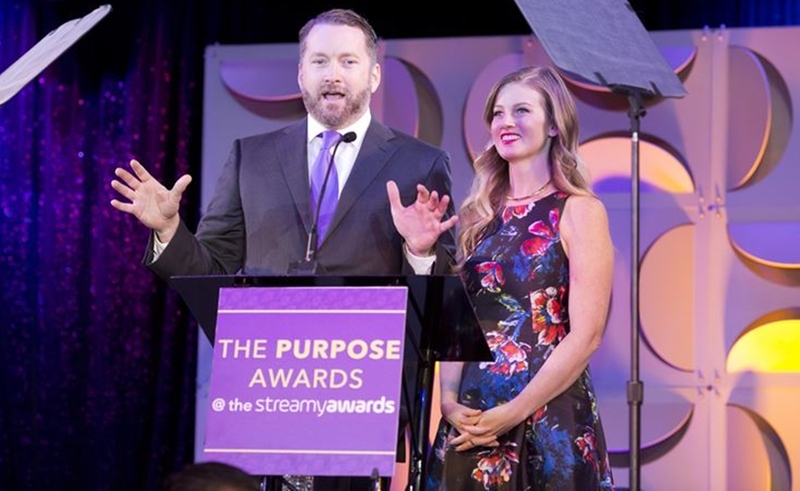 The Purpose Awards were born of the Streamy Awards, and represent an expansion of the Streamys’ ‘Social Good’ category into a standalone event. 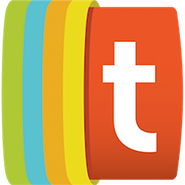 The inaugural gathering, produced by social marketing agency Force Multiply and Tubefilter, took place at the Conga Room in Los Angeles and was hosted by Rooster Teeth’s Burnie Burns and Ashley Jenkins. Burnie Burns and Ashley Jenkins. 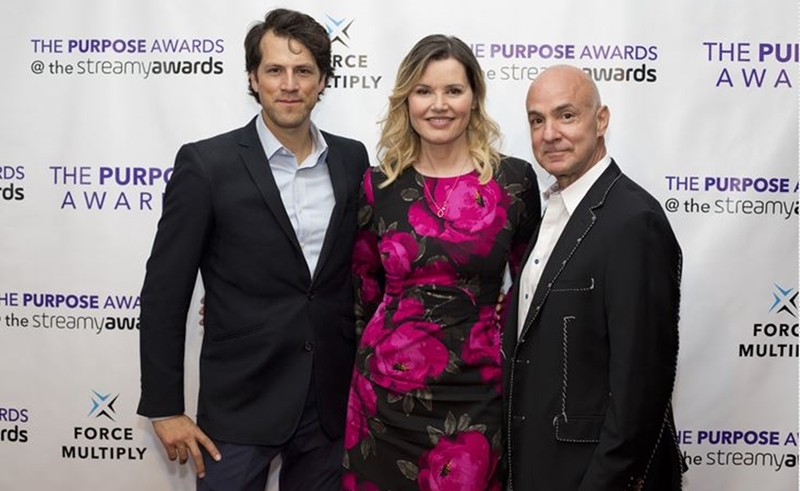 While each Purpose Awards category comprises three honorees, one nominee within each category received the ‘Inspiration Award’ at the event, as selected by a Board Of Advisers. Ford received the ‘Brand Award’ for its work with the Geena Davis Institute On Gender In Media while Lizzie Velasquez received the ‘Creator Award’ for her anti-bullying efforts. 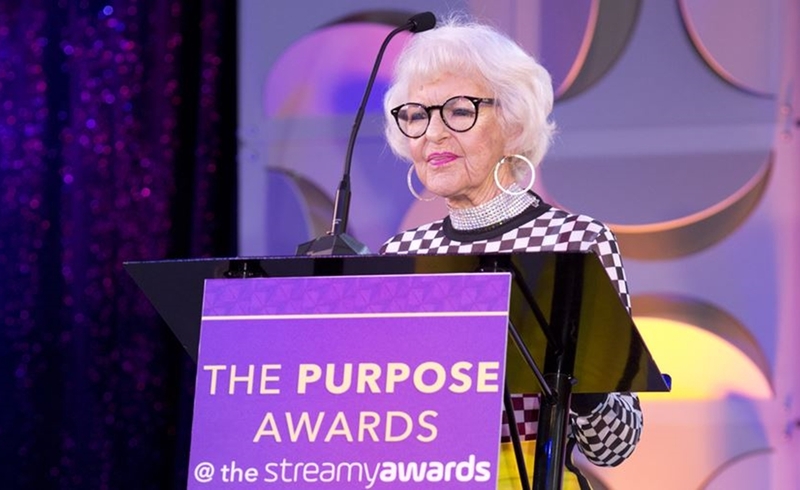 Jerome Jarre’s #LoveArmyForSomalia campaign took home the ‘Uniter Award’, Meals On Wheels won the ‘Nonprofit Award’ for its work with Baddiewinkle, and AT&T received the ‘Campaign Award’ for its #LaterHaters initiative. At the same time, the Ad Council received the first-ever ‘Legacy Award’ — honoring a sustained humanitarian effort that goes beyond a single campaign. 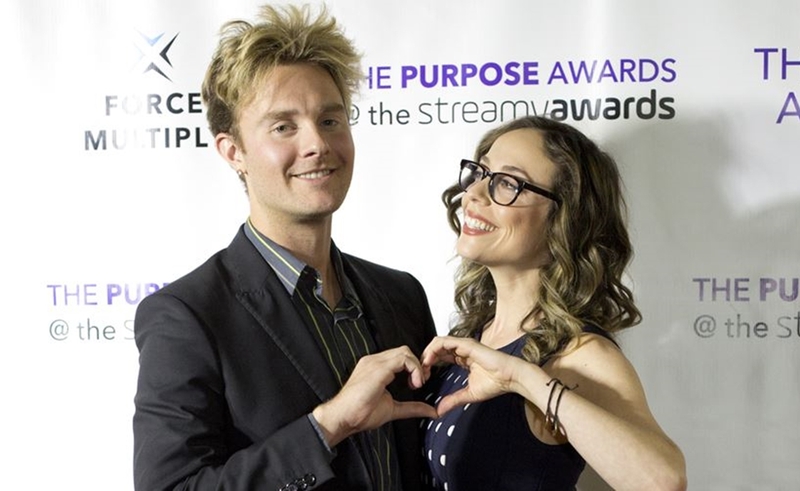 The show, which was run by an all-female production team, also featured appearances by YouTube power duo Bart Baker and Shira Lazar. Drew Baldwin, Geena Davis, and Lou Raiola. Bart Baker and Shira Lazar.